Adobe has today fleshed out its release plans for the next version of Photoshop. As reported earlier there will be two versions made available when it begins shipping next month. The standard edition will be familiar to existing users while a second 'extended' release will be aimed at industries as diverse as medicine, architecture and 3D design which already use image manipulation packages but require specific tools and features not currently included in Photoshop. This split in the product line serves to extend Adobe's potential market whilst not forcing traditional users to adopt the new additions unless they choose to. London — March 27, 2007 — Adobe Systems Incorporated (Nasdaq:ADBE) today announced Adobe® Photoshop® CS3 and Photoshop CS3 Extended, two new editions of the professional industry standard for digital imaging. Photoshop CS3 software is a major upgrade, offering new innovations in editing power and productivity for designers and photographers. The addition of an entirely new version of Photoshop, Photoshop CS3 Extended, means creative professionals can now discover new dimensions in digital imaging, harnessing everything in Photoshop CS3 plus groundbreaking tools for 3-D, motion graphics, image measurement and analysis. Photoshop CS3 Extended expands the boundaries of digital imaging, simplifying the workflows for professionals in architecture, engineering, medicine, and science. Photoshop CS3 and Photoshop CS3 Extended will be available as stand-alone applications or key components of Adobe’s expanded Creative Suite® 3 family, also announced today (see separate press releases). The software will be available as a Universal application for both PowerPC and Intel-based Macs and will support both Microsoft® Windows® XP and Windows Vista. Customers will experience increased levels of performance and speed running Photoshop CS3 on Intel-based Macintosh systems and the latest Windows hardware. Photoshop CS3 beta testers have confirmed the release as a must-have for designers and photographers. With new features for advanced compositing, designers can automatically align multiple Photoshop layers or images based on similar content. The Auto-align Layers command quickly analyzes details and moves, rotates or warps layers to align them perfectly, and the Auto-blend Layers command blends the color and the shading to create a smooth, editable result. With the latest version of Camera Raw, photographers can process raw images with increased speed and superior conversion quality, with its support for over 150 raw formats, JPEG and TIFF files, compatibility with Adobe Photoshop Lightroom™, and new tools such as Fill Light and Dust Busting. Photoshop CS3 Extended software includes everything in Photoshop CS3 plus additional specialised features such as support for 3-D and video workflows, animation and in-depth image analysis. With support for popular 3-D formats, creatives can render and incorporate rich 3-D content into their 2-D compositions, including texture editing on 3-D models. Using the Enhanced Vanishing Point, designers can measure in perspective and also export from Enhanced Vanishing Point to a 3-D model. For video post-production, Photoshop CS3 Extended now includes video-format and layer support to edit video files frame by frame. The resulting video can then be exported to a variety of formats including Flash®. Pioneering new uses in areas such as manufacturing and medicine, the Measurement Log palette calculates a range of values within an image, the Scale Marker easily adds a scale graphic to any image, and the new Count tool tallies features in an image simply by clicking on them. New to Photoshop CS3 and the Adobe Creative Suite 3 family, Adobe Device Central (see separate release) radically boosts the productivity of creative professionals who develop content for mobile handsets. Adobe offers the right Photoshop for all types of users. Photoshop CS3 and Photoshop CS3 Extended are at the heart of the Photoshop family. The portfolio also includes Adobe Photoshop Lightroom™, which provides a complete digital darkroom for professional and serious amateur photographers; Adobe Photoshop Elements with editing and sharing options for photography enthusiasts; and the free Adobe Photoshop Album Starter Edition, which meets the needs of the casual photographer. Adobe Photoshop CS3 and Photoshop CS3 Extended will begin shipping in April 2007 to customers in the United States and Canada, and will be available through Adobe Authorised Resellers and the Adobe Store at www.adobe.co.uk/store. 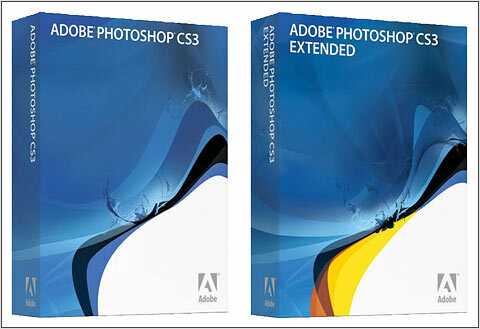 Estimated street price for Adobe Photoshop CS3 is £485 and £755 for Photoshop CS3 Extended. Upgrade pricing is available. Lotus Sport, the race car performance arm of Lotus Cars Ltd, unveiled the Lotus Exige GT3 concept road vehicle in Geneva this week. The 271 BHP Exige GT3 is the most extreme version of the track car yet. Lotus believes it can deliver more grin-factor than ever before, as there are no intended compromises and no limits except the driver. The Exige GT3's pure-bred racing brother will be again competing in the GT race arena in 2007,taking over the mantle from the successful 2006 British GT3 Championship car. On road or track the Lotus Exige GT3 winning pedigree will continue the honored Lotus racing tradition. A new one-piece front clam-shell with fully masked front wheels and wheel arch venting leads the aerodynamically cleaned silhouette of this car. The supercharged and inter-cooled 1796 cc engine in the Lotus GT3 has a maximum power output of 271bhp at the 8,000 rpm redline, and a torque figure of approximately 190lb/ft at 7,000 rpm. This significant amount of extra power and torque now available together with the VVTL-i variable cam system ensures that power is delivered linearly from low engine speeds up to the redline. The Roots-type Eaton M62 supercharger (with a sealed-for-life internal mechanism so that it requires no use of the engine's oil) is run from the crankshaft and has an integral bypass valve for part load operation. Four high capacity injectors and an up rated fuel pump add additional fuel under hard acceleration or high speed driving. An Accusump oil accumulator unit is included in the whole package as an oil reservoir back-up for extreme track use ensuring that, under those conditions, the engine oil pressure remains constant. Twin oil coolers complete the power train package. A sports-type clutch plate and heavy duty clutch cover transfer the engine power and torque to the lightweight aluminum C64 six-speed gearbox - with the same perfectly spaced ratios as the Exige S. An open type limited slip differential is fitted as standard. The Lotus switchable traction control system (LTCS) works through the engine, reducing power to maintain traction; it is active above five mph and reacts much more quickly than many brake-based systems. Lotus designed lightweight structure of epoxy bonded aluminum alloy extrusions with crash structure, extruded aluminum door beams, integral steel seat-belt support structure and lightweight galvanized steel rear sub frame incorporating a structural shear panel. GT3 derived one-piece front clamshell and wide track rear clamshell with full length roof scoop design taken from the Cup Exige 255. New full width rear wing with integral end plates mounting to rear clam. Race style front splitter; standard Exige door and body sides retained. It includes a multi-element rear diffuser with carbon fiber option. Five-spoke lightweight forged alloy wheels (front 7Jx16 and rear 10Jx17) with Lotus Sport specific Yokohama A048 R LTS tires (F: 195/50 R16 and R: 255/40 R17). The brake system includes 308 mm diameter 2 piece aluminum belled cross drilled and ventilated front discs and 288 mm diameter cross-drilled and ventilated rear discs. AP Racing two-piece radially mounted 4 piston calipers at the front and Brembo single sliding piston at the rear. Pagid RS14 sports brake pads all round, plus high grade silicone brake fluid and stainless steel braided brake hoses. The servo-assisted four-channel ABS system enhances braking performance and minimizes stopping distance without taking over from the skill of the driver. Fully independent suspension utilizing unequal length wishbones; Öhlins two-way adjustable dampers with coil over springs and Lotus Sport adjustable front anti-roll bar. A rear double shear track control arm brace is provided to cope with the expected kerb abuse during heavy track day driving. "The Exige GT3 concept road car is a fantastic showcase product from our race car performance division, Lotus Sport. The car's racing background becomes immediately obvious from its aggressive stance, extreme width of rear track and innovative three-dimensional rear wing. The foundation of all Lotus products is phenomenal handling and ride characteristics, but the Exige GT3 takes these into another dimension altogether where supreme road holding and outrageous acceleration come evenly matched with sensational stopping ability." The Exige GT3 will be developed into a production car for limited markets, to go on sale in late 2007 with an estimated price tag of between £50,000 ($96,700) and £60,000 ($116,000). PMA 2007: Adobe has today outlined its plans to offer two versions of Photoshop CS3 when it is released later this year. In addition to the standard edition, imaging professionals and enthusiasts will have the option of a yet more comprehensive tool in the form of an extended version. This is said to build on the already bulging feature set by adding 3-D and motion graphics oriented capabilities as well as allowing image measurement and analysis. Adobe say they are aiming to simplify imaging in the architectural, engineering, medical and scientific industries whilst continuing to cater to their core following of graphic and multimedia artists. London — March 8, 2007 — Adobe Systems Incorporated (Nasdaq:ADBE) today announced at the Photo Marketing Association (PMA) show that it will expand its digital imaging product line, offering two editions of Adobe® Photoshop® CS3. In addition to the highly anticipated Photoshop CS3 software for designers and professional photographers, Adobe will also deliver Photoshop CS3 Extended, a completely new edition of Photoshop which allows cross-media creative professionals to stretch the limits of digital imaging. Photoshop CS3 Extended includes everything in Photoshop CS3 plus a new set of capabilities for integration of 3-D and motion graphics, image measurement and analysis. Photoshop CS3 Extended also simplifies the workflow for professionals in architecture, engineering, medical and science. Both Photoshop CS3 and Photoshop CS3 Extended software will be formally introduced on March 27, 2007 – as part of the company's launch of Creative Suite 3, where further details will be disclosed. The software is expected to ship in Spring 2007. "We never imagined that Photoshop would someday help make major motion pictures, let alone save lives," said John Loiacono, senior vice president of the Creative Solutions Business Unit at Adobe. "Whether it's a video producer texture editing the backdrop of a movie or a researcher counting hundreds of cancer cells, diverse industries are already relying on the professional standard in digital imaging." Breadth of Advanced Features in Photoshop CS3 Extended With Photoshop CS3 Extended, film, video and multimedia professionals, and graphic and web designers can leverage the power of the Photoshop image-editing toolset and paint engine when editing 3D and motion-based content. Film and video specialists can perform 3-D model visualisation and texture editing, paint and clone over multiple video frames. Animators can now render and incorporate rich 3-D content into their 2-D compositions. Graphic and web designers can create an animation from a series of images – such as time series data – and export it to a wide variety of formats, including QuickTime, MPEG-4 and Adobe Flash® Video. "The National Association of Photoshop Professionals (NAPP) is over 60,000 members strong and as it continues to grow, so do the variety of uses for Photoshop," said Scott Kelby, president of NAPP. "Photoshop CS3 Extended will further redefine who the 'creative professional' is, allowing cross-media professionals to really push the limits of their craft, while also inviting engineers, scientists and architects to add the power of Photoshop to their arsenal." Photoshop CS3 Extended also enables users to extract valuable quantitative and qualitative data from images. In addition to measurement and analysis tools, architects, medical professionals and scientists will enjoy increased support for specialised image formats so they can easily view, annotate, and edit images in their native format. Radiologists can closely monitor a patient's progress over time, scientific researchers can create animations from medical images for presentation purposes, and architects can make accurate measurements of objects in their 3-D images. "With the release of two new editions of Photoshop, Adobe continues to push the boundaries with innovative tools that empower people to communicate visually in powerful new ways," said Alexis Gerard, author of "Going Visual" and president of Future Image Inc., hosts of the 6Sight® Future of Imaging conference. "While Photoshop CS3 will remain the digital imaging standard for photographers, Photoshop CS3 Extended is bringing to new audiences the proven benefit of Photoshop, and also exploring feature sets that eventually may benefit a broader market." Availability Announced in December 2006, a beta version of Adobe Photoshop CS3 for Macintosh and Windows is currently available for download for Photoshop CS2 users on the Adobe Labs Web site: http://labs.adobe.com. Both Photoshop CS3 and Photoshop CS3 Extended software will be formally introduced on March 27, 2007. Available as Universal Binary for the Macintosh platform as well as for Microsoft® Windows® XP and Windows Vista® computers, the final shipping releases of Adobe Photoshop CS3 and Photoshop CS3 Extended are planned for Spring 2007. For more information, please visit the Adobe Web site: www.adobe.com/go/photoshop.